The mixed media stylings of Andrea Kannes. Three weeks ago or so, I attended Paper Tiger Television’s conference on Radical Media. A few days before the event, some little voice inside my head told me I needed to go. So I did. And it was a great decision. The morning was filled with talks by a wide variety of brilliant people. The first up was a woman, Martha Wallner, who serves as the Media & Communications Coordinator for the Legal Services for Prisoners with Children. She spoke about the media’s unfair portrayal of prisoners and those who were formerly incarcerated. Since this subject hits close to home, I really appreciated her passion for helping the situation. I thanked her for her thoughts and efforts, and she gave me a hug. Jesse Drew (professor, Techno-cultural Studies, University of California, Davis), Pablillo Jose (hacktivist), Shannon Mattern (assistant professor, School of Media Studies, The New School) and Isaac Wilder (Executive Director, Free Network Foundation). Wouldn’t it be great if we could break out of the same old boring routine of getting our energy from the electromagnetic spectrum? Well, what if we harvested our intercellular energy? Say, perhaps, from a cuddle puddle? All you have to do is snuggle up and take our pharmacological remedy and you’ll be charging your macbook with the power of human chemistry in no time. Don’t worry, lonely people, we’ve invented a device you can wear around your neck like Flava Flav to harvest your own energy when you lack another warm body to cling to. “Dr. Hoot” is the premier new doctor app that makes sure you know exactly what you’re getting into when downloading other apps onto your various devices. When you download something, Dr. Hoot lets you know invaluable information about the app and its owners. This information includes what the company does with your personal information and whether or not the company is involved in any lawsuits. Dr. Hoot (a cartoon owl, of course), looks to the left if you should be careful, looks to the right if you’re okay, and downright shakes when you’re about to download something treacherous. 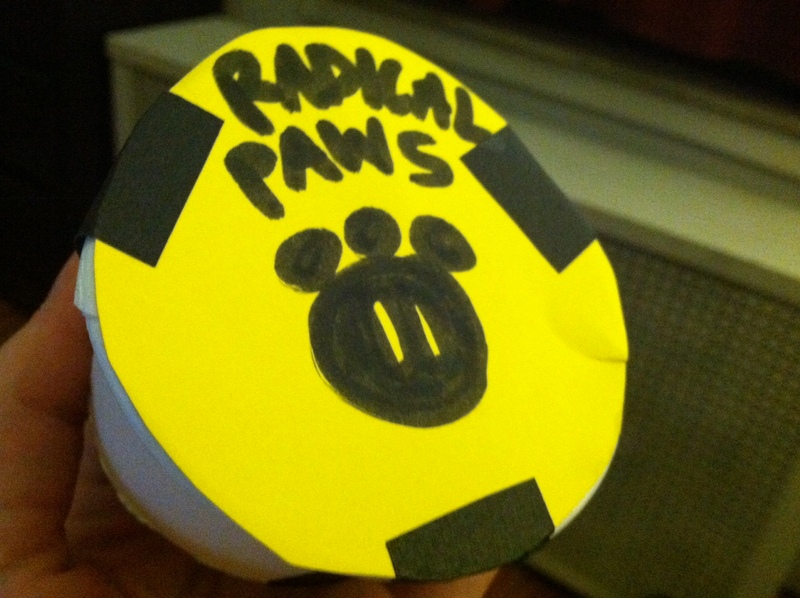 Radical Pause by Radical Paws. This is a small round device powered by human dynamo. You twist it, and it generates a local area connection. With the app, you can leave and take short messages of text from the device. It’s a digital leaflet. The first stage of our prototype would be for use in taxi cabs. Step 1: Someone gets in the cab and puts the device on the bottom of the seat, between their “paws.” They then exit the cab (after reaching their destination of course). Step 2: Another person gets in the cab and “checks between their paws.” If there is a Radical Pause device there, they power up the app on their phone. They can then leave one message and take as many as they want. These messages could be anything from radical PSA’s such as “Corporations kill!” to “My band is playing next week at Such and Such Club.” to “Check out my website! www.mywebsite.com.” Groups could even make many of these devices with similar messages as a blanket awareness campaign about their political and community causes. Radical Pause was designed to personalize public space. It is an attempt to infiltrate and combat all of the media and noise we are bombarded by in public spaces, such as the screens in taxi cabs and in elevators. Plus, doesn’t it just sound like a good time? Like you’re a part of some secret information disseminating club… or something. Radical Paws was one of three groups chosen from the conference to present at the MoMA as a part of the Documentary Fortnight Festival. Awesome. A week or so ago, we did our presentation and it was a hit! Everyone enjoyed our ideas, but I think they especially enjoyed that we didn’t take ourselves too seriously. After all, it’s the MoMA and it only seemed right to be a little off beat and off the wall. Usually, I get significantly nervous when speaking in front of people about a topic which will be opened up to questions. Somehow, however, I got up there and adlibbed pretty convincingly and enthusiastically, much to the delight of our group leader. I even answered some questions. There’s something liberating about working in a group for three hours, coming up with some crazy (so crazy it just might work) idea, and then presenting it two weeks later as if it was the next iPad. It’s so much easier to answer questions confidently about something that doesn’t even exist. And it’s kinda fun, too. 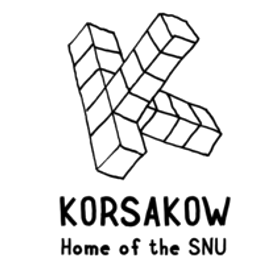 Korsakow is my new religion. Here is my video self portrait. It is my last project for the Media Practices: Concepts class I’ve been taking this semester. I used a software called Korsakow, with which I am pretty in love. Every Christmas I make a music video of my nieces for my sister and brother-in-law, but I think I will be making a Korsakow this year instead. Perhaps I’ll add to it every year. By the time they’re 18 they’ll have a video database of their childhood! This is the only good thing that came from my roadtrip. And the whole crowd digs it. Our group ventured into the Brooklyn Brewery to create this short documentary. A land of cats, hep tourguides, and frothy beverages. 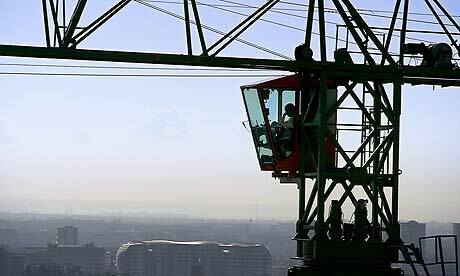 I want to be a crane driver. I watched City of Cranes four times. The aspect of the short documentary that stood out the most to me was the suspension of time. It feels as though the earth stands still for the sole purpose of portraying the universe of the crane drivers. Although many drivers were interviewed, it was as if they were all one voice and character. There are no other voices except for the interviewees in this film. There are no external voice overs and the filmmakers’ physical presence is not seen or heard. This serves to allow the viewer into a secret world with no interruptions. I started to view the drivers as an elite group, but not in a negative way. I revered them for their patience and ascetic qualities. Their knowingness and reflections on humanity were very engaging, but sweetly simple. The isolation and contemplation revealed was almost religious in nature. City of Cranes evokes more of a feeling than it tells a narrative. The piece is not character driven at all in the sense that there is no single recognizable person around whom the film is centered. We do not ever see the crane drivers explicitly, nor do we know which of them is actually speaking. The viewer may see a face partially obscured by shadow or glare, the back of a head, or a climbing body, but will never be able to identify anyone by name. The collective voice of the crane drivers coupled with the images of the cranes contributes to a bubble-like atmosphere. The viewer gets a sense of what it is like to be contently secluded in a glass box in the sky. The images shown within the context of the chapter titles and interviews personify the cranes as human – or at the very least living, feeling creatures. The editing is very steadily paced and eloquent when showcasing the cranes as objects of ballet and art. More close-up shots of the cranes and their individual parts start to be presented which turn the images into truthful objects but also beautiful in the same way some abstract paintings might be thought to be. There is a balance very similar to dance happening at the moment a crane driver is discussing how multiple cranes working together is similar to a ballet. Colors are vibrant and the large machines somehow come across as delicate as young ballerinas. The viewer begins to look at the humans as part of the machine in a symbiotic relationship. This is not to the detriment of the drivers; they are proud of their work and feel personally attached to their cranes. As a culture we do not normally think of construction workers as “deep,” and this work tears down that stereotype. The music at the beginning and end of the documentary matches the content: it is a mechanical yet melodic humming with light piano. It’s ethereal and fitting to the reflective sentiments described. The filmmaker could have chosen harsher sounds or music since cranes do appear on loud construction sites, but instead she shows us a different part of existence. The shots of the cranes are framed like photographs and the music is accompanied by the natural sound of “the city above.” Quick cuts reveal many different landscapes with cranes and the unifying visual pieces are birds and airplanes that coast through the frames. This adds cohesiveness to the images. The natural sound of the machinery adds an authenticity and extra layer of “truth” to what could be a mundane story about a seemingly simple blue collar occupation. Peter Watkins makes films that I want to make. Well, not exactly, but I’ve always wanted to make documentaries about things that never happened. Not “mockumentaries,” per se, but documentaries about fake historical events that are so well researched and fit seemlessly into a certain time period. As the movie progresses, I would want the audience to realize that things are a little “off,” and the situation would become subtley more ridiculous. The following clip is from a very disturbing piece that we discussed in class about what life would be like if a nuclear attack struck London. When we were talking about it, I thought, “sure, maybe it was scary for its time and place, but I bet it won’t be that bad.” Then I watched it alone, in the dark, late at night. Not a great idea. Although the film does say, “this is what could POSSIBLY happen if…” as a viewer you’re so sucked in by the images and explosions that it still feels real.